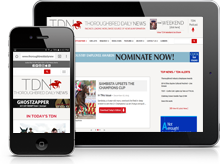 Editor’s note: Dave Johnson is a racecaller and sportscaster (famous for his signature `and down the stretch they come!’) who is attending his 23rd consecutive Royal Ascot meeting this year. 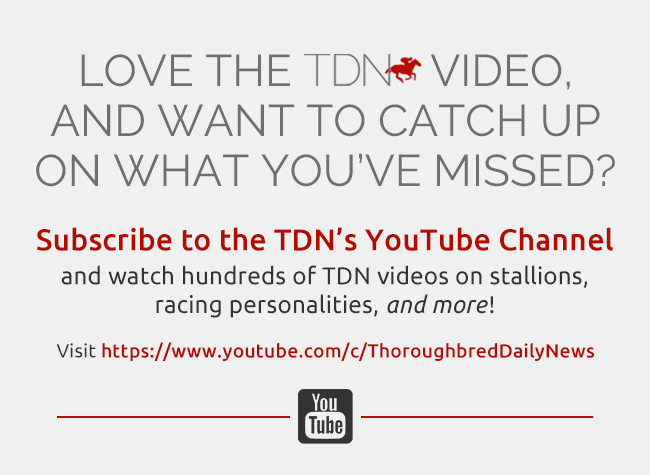 He will be writing a daily Ascot report for the TDN. Do you have a family photo from years ago that a great deal more to you now? Maybe at a picnic or maybe even at a racetrack? 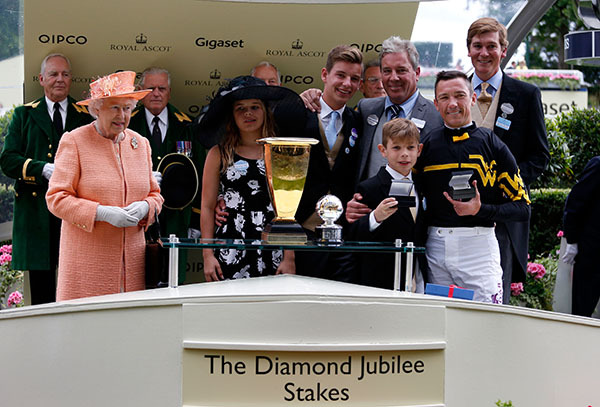 Can you imagine what this photo of the trophy presentation following the 2015 Diamond Jubilee S. at Royal Ascot will mean to the children of trainer Wesley Ward? That’s Riley, Denae and Jack with their dad, jockey Frankie Dettori, and The Queen of England. My old black and white prints from the late 1940’s and 1950’s at Fairmount Park are not winners circle celebrations, but just my mom, dad and grandparents enjoying a holiday afternoon at the races.But it was the Johnson family celebrating at the races–a bit more low key than the Wards. I am a huge fan of what Wesley has accomplished on the track, as the Eclipse Award-winning apprentice jockey I called so many times in races at The Meadowlands in the 1980’s and as a world-class trainer. But I appreciate him even more knowing the back story of this photo from Father’s Day week. He had been up all night with his sons at Frimley Hospital where his daughter, Denae, was being treated for a touch of Bell’s palsy. The Wards left the hospital in time to change into Royal Enclosure finery and for Wes the trainer to saddle Undrafted (for owner/football star Wes Welker) to victory. And what a victory! With the exclamation point being Queen Elizabeth II handing the trophy to a devoted dad. This week promises opportunities for more photos and memories, as Ward saddles Lady Aurelia, last year’s star of The Queen Mary (G2) who is pointed to the King’s Stand (G1) on opening day of the Royal meeting this Tuesday. In addition to Lady Aurelia, Ward has eight other runners here. He could win the Queen Mary for the fourth time with Happy Like A Fool. He is what　the English punters　call my “banker” or “nap” of the day. You get the point. Yes, a picture is worth a thousand words, but maybe a million when your kids are with The Queen of England. I think this is not “the end of the story,” but rather just the beginning.